Pairs trading is used by options traders to take advantage of miss-pricing between two symbols options prices. The strategy usually involves purchasing an option or spread of options and selling a similar option or spread in another related symbol. Traders using ORATS usually will look for historical relationships that have gotten out of whack to set up a pairs trade entry and exit dates and then backtest the strategy before implementing. Underlying price comparisons. The trade occurs when the ratio of the stock prices goes outside a range. A delta heavy strategy like a call, short put, long call or short put vertical is sold in the overpriced symbol and simultaneously bought in the underpriced one. Implied volatility comparisons. The trade occurs when the ratio of the IVs goes outside a range. A vega heavy strategy like a straddle, strangle, iron butterfly, or iron condor is sold in the overpriced symbol and simultaneously bought in the underpriced one. Slope of put/call skew comparisons. The trade occurs when the ratio of the slopes goes outside a range. A slope heavy strategy like a vertical or 1 x 2 is set up where the short leg in the overpriced slope is the lower strike and long leg the higher strike and an opposite trade is made in the underpriced slope stock. Term structure comparisons. The trade occurs when the ratio of the forward volatilities (forward vols are explained in this blog post) goes outside a range. A calendar strategy is sold in the overpriced symbol and simultaneously bought in the underpriced one. 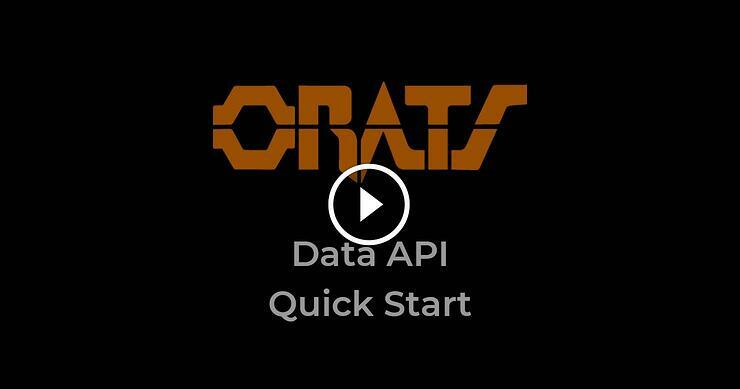 These comparisons can be set up using the ORATS Data API Core General or Earnings area of the Data API here or the Excel API in the DataHistory tab dropdown. You can sign up for a free trial to the Data API here. Underlying price comparisons are made by aligning closing stock prices are under the heading pxAtmIv. Set up a ratio of the prices of symbol1/symbol2 and a trigger points. That trigger points should be entry dates and associated exit dates as in the picture below. 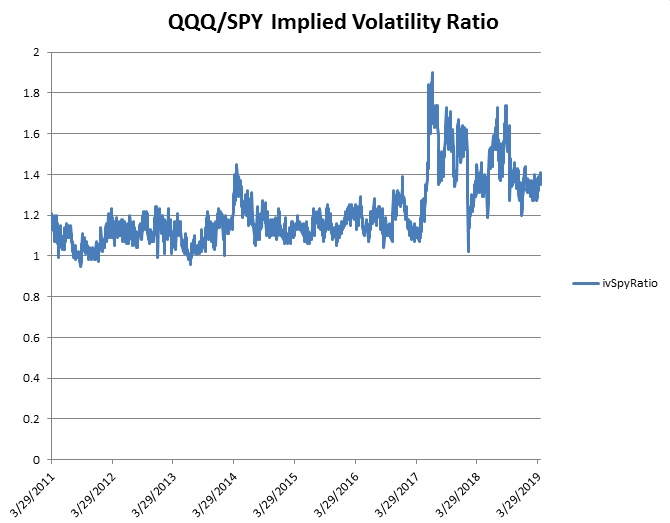 Implied volatility comparisons are made using one of many IV calculations, most popular are exErnIv20d, the implied 20 calendar day interpolated implied volatility with earnings effect out. Set up a ratio of the prices and a trigger point. Slope of put/call skew comparisons called "slope" that is the put call slope at the interpolated 30 calendar days of the tangent at 50 delta. Term structure comparisons can compare for example the ratio of exErnIv20d to exErnIv60d. To choose the symbol pairs, the relatedness determination usually done by calculating by correlations of stock prices or implied volatility. Correlation calculations are based on historical information and can change and negatively affect your results. 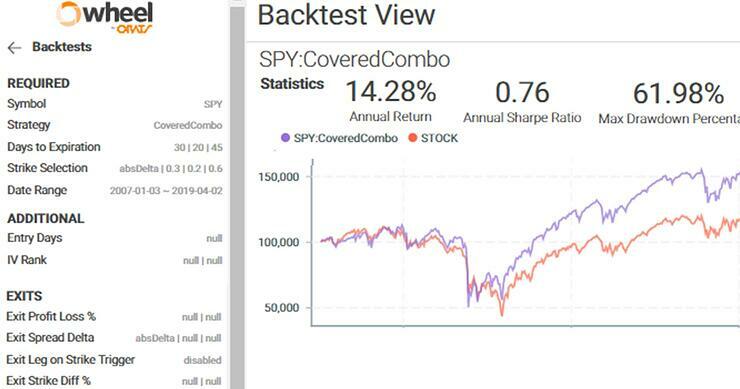 Backtesting can uncover strengths and weaknesses of the relatedness issues and help avoid the backtested pitfalls going forward. Betas are also calculated between the pairs to calculate the sizing of the trades. The higher beta stock will have a lower relative sizing. The calculation can get complex but a backtest can help understand this relationship and size the trade. 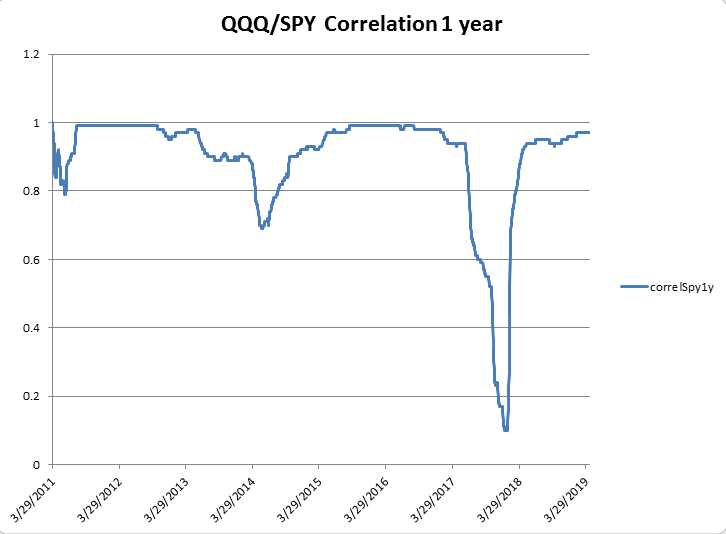 Correlations and betas can be more or less consistent based on various factors like levels of implied volatility, nearness to earnings if stocks, and momentum trends in the correlations and betas. 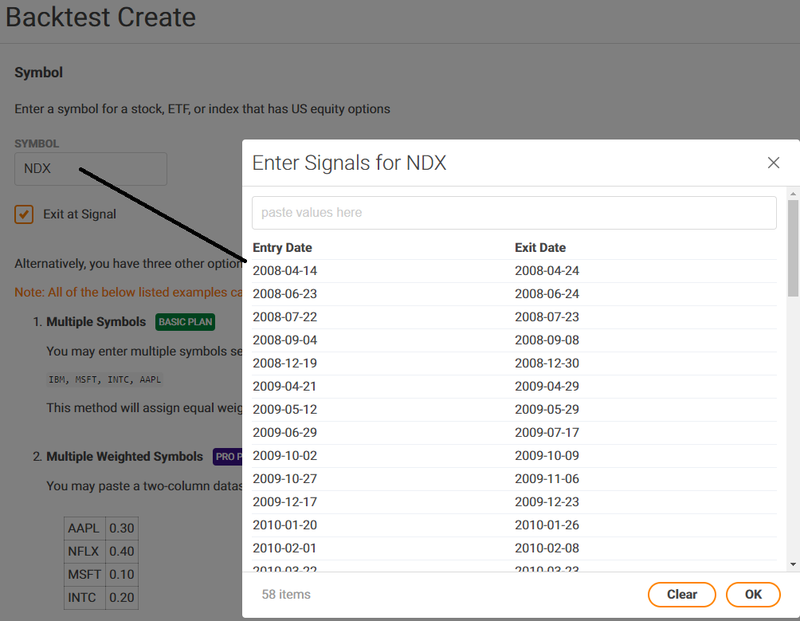 Backtesting can be accomplished by taking the symbol entry & exit dates from the historical relationships and pasting them into the Symbol input in the backtester. Here is a sample of a put/call skew relationship where the ORATS Slope in NDX divided by SPX was outside of a range to determine the entry date and when the ratio came back into the range the exit date. A backtest taking advantage of the comparisons explained above are run in complementary for each symbol. Finally, the strategies are combined and the report can be viewed. After the backtest has run, the report can be viewed, and a download of the trades can be collected. 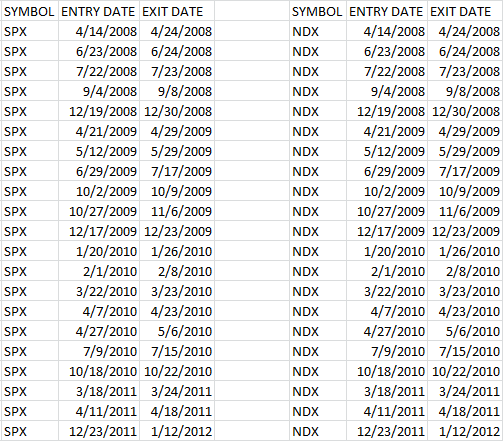 By using the ORATS Data API, a list of entry and exit dates can be made for each symbol. The entry and exit dates are pasted into the backtester to run individual tests that offset the pairs comparison. Finally, the two tests are combined and the report is observed.